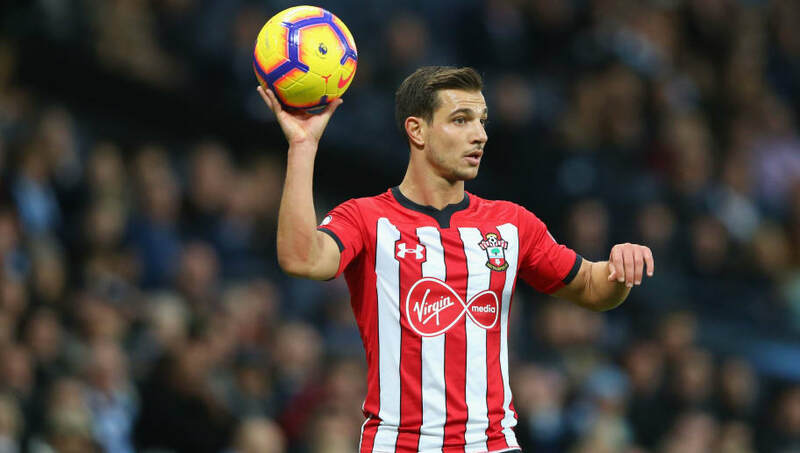 ​Inter have announced the loan signing of Southampton defender Cedric Soares, as Saints boss Ralph Hasenhuttl continues to trim his squad in a bid to stave off relegation. The Portuguese defender has seen his usual starting spot at right-back given to teenager Yan Valery in recent matches, and is now expected to offer cover to Sime Vrsajko until the end of the season before a more permanent decision on his future in the summer. ​Reports of a medical broke earlier on Friday, but ​Inter have now confirmed it via their social media channels, as well as releasing a ​statement on their official website. "Cedric Soares is a new Inter player. The 27-year-old defender joins the Nerazzurri on loan from Southampton FC with the option to make the deal permanent," the statement began. "In 2016, he was among the starters in the final when Portugal beat France to win the European Championship. He was a key player at the 2018 World Cup in Russia as Fernando Santos' side made it to the Round of 16 before elimination at the hands of Uruguay. "Now, the black and blue side of Milan is ready to welcome Cedric Soares. Best of luck in this new adventure with the Nerazzurri!" The move will see the 27-year-old remain in Serie A until the end of the season, and Inter retain a £9.5m option to make the move permanent should they decide to do so. He joins Wesley Hoedt and Steven Davis in departing ​Southam​pton on loan, while Manolo Gabbiadini also heads to Serie A, albeit on a permanent basis, to join Sampdoria. It comes as Ralph Hasenhuttl continues to prioritise offloading players over making any new signings, having spoken about his desire to trim the squad earlier this week. "If the squad is too big, I cannot give every player the feeling that he is important for me. That is what I want to do," Hasenhuttl, who replaced Mark Hughes earlier this season, told Sky.